Developed by MyShowcase co-founder Kate Shapland, the passion behind Legology came from Kate’s sheer passion for legs and their well-being. Recognising that there were very few products available for women who suffer with fluid retention, fatigue, workout stiffness and long-haul tightness, Kate was keen to address of all these concerns through her range of products. Developed with a French chemist and perfumer, the range is perfect for treating, comforting and energising tired legs. 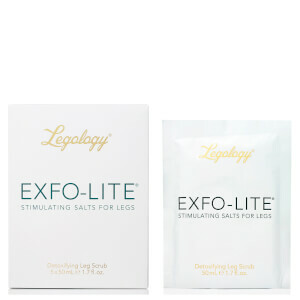 Discover the Legology range – now available at Beauty Expert.